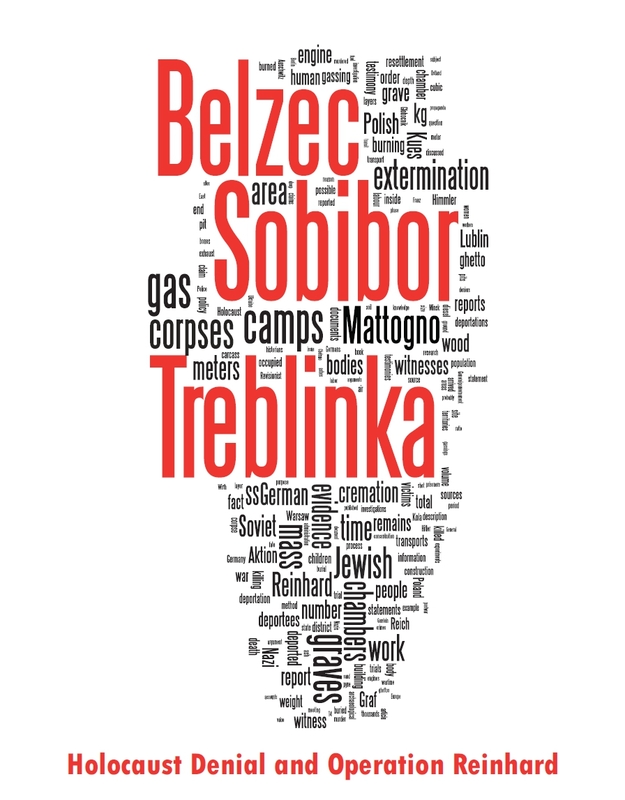 Apart from denying or playing down the excess killings he had been accused of, how did Frenzel explain his participation in the killing of at least 150,000 helpless and innocent human beings, largely women and children, at Sobibor extermination camp? Did he admit to having been the eager and enthusiastic executor that the jury court found him to have been, or did he try to portray himself in a more favorable light? In the latter case, on what basis did the court refute his defense allegations? Regarding his personal background, Frenzel claimed that he had had a Christian and not anti-Semitic education and never left the church, and that he had joined the NSDAP in 1930 because he had been unemployed, even though his political thinking had been more Communist. His volunteering for service in 1939, however, he attributed to having at that time been a convinced National Socialist. As concerns his participation in the "Euthanasia" killings, Frenzel claimed he had at the time considered it legal but wanted nothing to do with the killing proper. Later he made the following statement, quoted verbatim in the judgment (my translation): "It had been an order, there were more than 100 people involved in the euthanasia, and it was impossible to get away from that bunch, one had to participate." I was against all that but couldn’t get away from it. I couldn’t stop the process; one lived on orders alone at that time; they told us it was an order of the Führer and the Reichsführer SS. I was just a fellow doing compulsory service (ich war nur dienstverpflichtet) and had no connections. My superior was Reichleitner. We had Wirth’s pistol against our neck. Wirth surely had 3 to 4 of our comrades on his conscience. His second word was always: "KZ!" [concentration camp], which he threatened us with. There was talk about comrades who were supposed to have been shot by partisans, but the rumor was that Wirth was behind their deaths. Once in Sobibor Wirth threatened in the course of a discussion that he would do something against our families. Already at the euthanasia there was the rumor that after the end of the action we all were to make a sea trip and go down during that trip. During a deadly KdF-trip [KdF = Kraft durch Freude], I think, all secret-bearers from Aktion T4 would have been liquidated just like the Jews. Frenzel further claimed that he had repeatedly tried to get away from the "Euthanasia" and from Sobibor. In mid-March 1940 he had received a calling-up order for an artillery unit, but eight days later had been informed that he was indispensable (unabkömmlich) and thus remained with the "Euthanasia". Shortly before the Christmas 1942, when he had been in Berlin for the burial of his comrade Bausch – who had committed suicide or died in an accident under the influence of alcohol – Wirth had threatened to send him to a concentration camp and put him before the SS and Police court martial in January 1943; due to the intervention of his "Euthanasia" superior Blankenburg these proceedings had been stopped. Shortly after this incident Wirth had announced in the camp that joining the Wehrmacht was out of the question, threateningly wielding his pistol and declaring that no one would get away from Sobibor. He, Frenzel, had only participated in order not to disobey orders and committed no arbitrary acts. All he had done had been ordered to him. If the Jews had especially kept him in their memories, this was because as the head of Camp I he had had much business with them, and not because he had been especially dangerous. 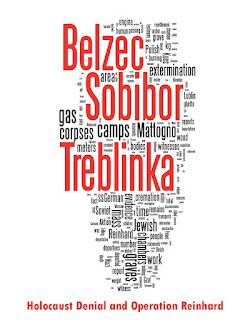 The jury court’s assessment of these allegations contains the most detailed and instructive characterization of Frenzel and his activity and behavior at Sobibor that can be found in the judgment, and for this reason it will be translated verbatim hereafter. These allegations are disproved insofar as they concern the defendant Frenzel’s behavior in Sobibor extermination camp; they also would not exculpate his actions in this camp. What is decisive for the question whether the defendant became guilty in Sobibor as charged is his behavior there. Against this defendant there stand without exception the heavy incriminations by all Jewish witnesses and by the co-defendants insofar as they pronounced themselves about him. His own allegations in the course of the main proceedings don’t counter this, but confirm these incriminations in essential aspects. If one for a start focuses only on the outward aspect of this defendant’s activity as it becomes apparent from the previous findings of fact, it cannot be overlooked that Frenzel was known to the Jewish witnesses not only as the one who as head of Camp I had business with them all the time, but also as the one who, both within the scope of the ordered participation in the extermination of the Jews and on his own initiative in the same direction, treated them in such a way that the extermination objective was achieved to possible perfection. Within the scope of the camp’s atmosphere which, to be sure, was created also by other overseers, Frenzel contributed what he could to the working inmates’ torment. In this sense he is incriminated by all Jewish witnesses who could escape extermination. The following speaks for the reliability of these incriminating depositions: Also without exception the camp’s top-kick Wagner has been described by all these witnesses as the one who due to his cruelty was even more feared. Several witnesses explained this as being due to both men having a different level of intelligence, Wagner’s exceeding that of the defendant Frenzel by far. Even in this respect the witnesses are still able to differentiate, by describing Wagner as generally very cruel and feared, but also often as understanding, knowledgeable in the assessment of technical working possibilities and accomplishments, and occasionally even prepared to listen to objections, whereas Frenzel is throughout described as a primitive-brutal being. The same image results when adding the essentially coincident descriptions of other camp overseers by the witnesses. Their individual descriptions as more or less feared, cruel, dangerous or even "good" provided an altogether very different image of the individual overseers, which however was uniform on the whole in regard to each of them. The description of Frenzel’s person and behavior provided within this scope was – as has been established above – also uniform and typically distinguishable from that of other overseers. The jury court would not have considered this description of Frenzel’s person and behavior by the Jewish witnesses as decisive on its own. Additionally, however, this defendant was assessed in a typically equal manner by his co-defendants who pronounced themselves about him, both in what concerns his behavior at Sobibor and his assessment by the Jewish witnesses. The deceased codefendant Bol. declared that no overseer in the camp was as fearfully avoided by the Jews as Frenzel. While in the camp Frenzel had been "beside himself with strength". He had driven on the Jews with the call of: "Allez hopp!". – This corresponds to the statements of co-defendant Wol. : Frenzel had been known among his comrades as a "roughneck" and as "cruel". His position had "gone to his head", Frenzel had had the inmates "at his mercy", he had exercised a "tough camp justice", he had beaten inmates at the slightest pretext, he had beaten at the ramp, where "things were very rough", and ordered whippings. All these utterances, also insofar as they contain value judgments, correspond exactly to what the Jewish witnesses in fact described in detail and made their value judgments about. Also the differently assessed intelligence of Wagner and Frenzel became apparent from the statements of the Jewish witnesses and the co-defendants. Apart from plain denial almost throughout, Frenzel has not much to put up against this. On the contrary, his own defense, as conducted in the lengthy main proceedings, provided a clear confirmation that his overall assessment by the Jewish witnesses and his co-defendants is accurate. Frenzel himself had to admit upon remonstrance that from the investigation procedure and the pre-trial examination to the main proceedings his defense stance had strongly dropped, from an initial preparedness to provide a generally and sometimes also in detail confessing description of his participation in events at Sobibor, to mere plain denial. It could not be overlooked that Frenzel, after initially having refused to make any statement in the main proceedings, changed this tactic under the extraordinarily strong impression of the incrimination by the witnesses to plain denial, but eventually found his way back sometimes, upon remonstration, to the position of general preparedness to confess that he had shown in during the preliminary proceedings. Thus he admitted to having ordered camp penalties or carried them out himself, and even admitted in general that he had not wanted to remain behind other overseers. The jury court gained the distinct impression that Frenzel did not bring himself to now making a full confession out of fear of the consequences of his previous behavior. Thus the jury court is convinced that, contrary to his allegations, Frenzel was not against the ordered extermination of the Jews, that he not only "failed to stop the process", but furthered "it" as a willing executor of orders, as established, in every manner that was possible to him, and furthermore found pleasure in killing out of racial arrogance both in the general participation and in his individual deeds in excess of orders. In the case of this defendant the claim of having acted only under a special threatening pressure from the camp commandant or from inspector Wirth, especially under the pressure of "Wirth’s pistol against the neck" and threats of being sent to "KZ" or his family being subject to "clan punishment" (Sippenhaftung), has been clearly disproved. Also in this respect the depositions of numerous Jewish witnesses, coinciding with those of several co-defendants, stand against him. For according to these depositions there was, for instance, the overseer Kli., who at the so-called G.-trial (see above First Section C, 6., page 113) has been acquitted due to his behavior on grounds of the testimonies of Jewish witnesses and of whom Jewish witnesses, essentially in coincidence with the statements of co-defendants, reported that and how this man suffered himself from the camp operations, was friendly to the Jews, helped them on occasion and in the end warned them of the camp’s liquidation, which caused him unpleasantness and open admonishments. There was also the overseer Steffl, regarding whom the witness Josef He. credibly testified that he had once in a dangerous situation saved him from being taken to Camp III by Wagner and that he, He., had therefore not brought it over himself to kill Steffl during the uprising. Furthermore there was the defendant Unv., who can claim to have conducted himself as restrictively as possible, and finally there was also the defendant Dub., who surely only acted within the scope of orders received. From all these examples Frenzel clearly differs in the sense of the incriminations standing against him. He was one of the feared overseers, like Wagner, G., Bol., Groth and others, and according to his overall image he best characterized himself with his statement that he had not wanted to remain behind the other overseers. This matches the fact that he was considered of use as head of Camp I and representative of top-kick Wagner, i.e. for an especially outstanding function, and kept himself in this position until the dissolution of the camp. It also corresponds to the very descriptive, credible testimony of the witness Szm. (38, formerly Pole, now a farmer in Brazil), about how also and especially the defendant Frenzel had employed him, the goldsmith, for his own enrichment with gold and valuables from the belongings of the Jews killed, and how much Frenzel had enriched himself on these goods when he went on leave. From this the jury court derived an additional decisive conclusion on Frenzel’s willing participation in the killing. Set against these decisive incriminations set down in the previous sections a) and b), the stated development and education does not release the defendant. The only conclusion to be drawn from it is that Frenzel, also in what concerns his reporting at the Columbushaus [see part 2 of this article] acted voluntarily and reliably within the scope of his SA and party membership because he was a convinced National Socialist at the time. This alone leads to no criminal reproach but is also not an exonerating circumstance. Whether, as per his own contradictory allegations, Frenzel approvingly or disapprovingly participated in the T4 operation after having learned of its purpose, need not be decided here, but it must be accepted in his favor as not refuted that, despite having obtained a calling-up order in March 1940, he was categorized as indispensable. Also nothing has been presented to allow for concluding that he voluntarily joined Aktion Reinhard knowing what it was about, instead of having been ordered there. Finally it could also not be disproved that around Christmas 1942 (on occasion of the overseer Bauch’s funeral) he made a failed attempt to join the Wehrmacht and was admonished for this by Wirth. All this changes nothing regarding his actual proven behavior in Sobibor extermination camp, for it is quite plausible and therefore means no unexplainable breach in the assessment of his personality (which, if established, would decisively exonerate him in what concerns his inner attitude towards his deeds) that outside the enclosure and atmosphere of the camp he disliked his horrendous activity and tried to escape this situation by enlisting for the Wehrmacht. All this is superseded by his actual behavior in the camp. – It has also been disproved that Frenzel could have done nothing more to get away from Aktion Reinhard because he had "no connections". In this respect he refuted himself because he made the un-refuted allegation that he talked to Blankenburg in Berlin about the threatened procedure against him at the start of 1943. This shows that he knew how to reach the top leadership of T 4 and could thus also have tried this way for the purpose of being released from Aktion Reinhard; whether he would have been successful or not is of no relevance as the attempt wasn’t made. Furthermore the example of the defendant Unv., yet to be presented, clearly showed, (not only in dubio pro reo, but) objectively, that people "without connections" also had means and ways to get away from T4 and from Aktion Reinhard and thereby – in accordance with their restriction during service – show serious rejection. All of that is missing in the case of Frenzel, whereas his established behavior in the camp disproves his allegations, while the acquittal cases referred hereafter lead to no exoneration in what concerns his inner attitude. "Hadamar"was the name of the hospital in which the retarded, lame and 'undesirable' were killed with experimental gas methods. This proves that the 'revisionists', who are just deniers in new dress, are wrong. They have only taken issue with the main camps in which Jews were murdered. They have omitted to mention how it was possible to use gas to destroy the 'unfortunates' of Germany at Hadamar, by many of the same staff who went on to operate in the camps.